The Palmpilot was probably the first commercially available gadget that let you transfer vCards over thin air. It used Infrared, and later Bluetooth, to transfer information from device to device. Most people who owned a Palm device tried it at least once, for the cool factor, but the process was awkward and slow so it never really took off. 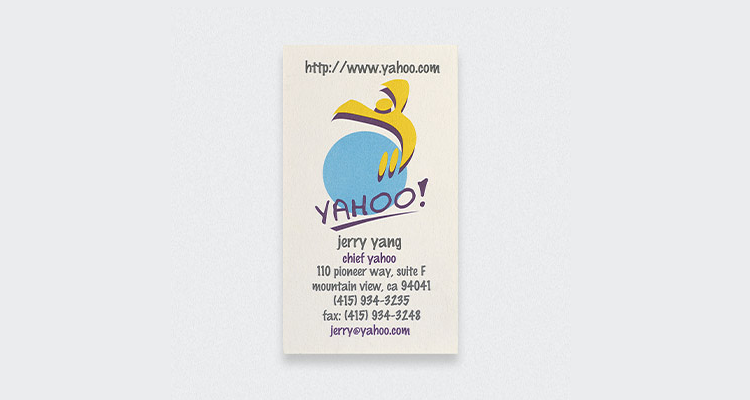 Since then however there have been many declarations of ‘the death of the business card!’. I’m pretty sure even this blog wrote similar posts in the past. 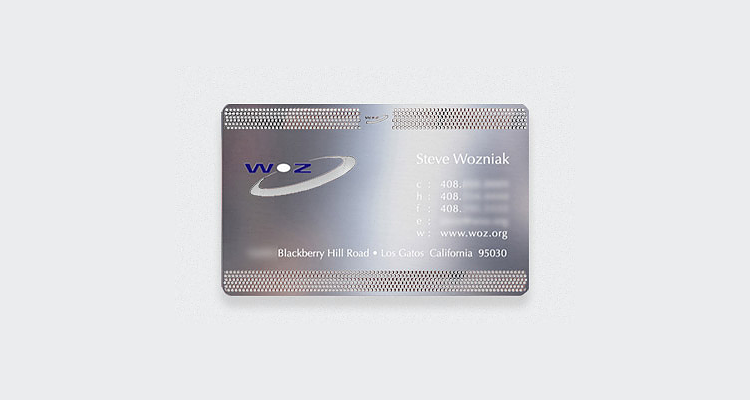 Every 6 months another company launches that seems to promise to ‘revolutionize’ the business card business. Still, most people I know still carry around lots of paper and I don’t see that changing very soon. There are a couple of good reasons for that too. Let me sum it up for you real quick so the next time someone tells you that one day we won’t need paper anymore and that it is cool to have a shotcode on your businesscard or some other seemingly futuristic idea you can explain to them how that isn’t going to happen. 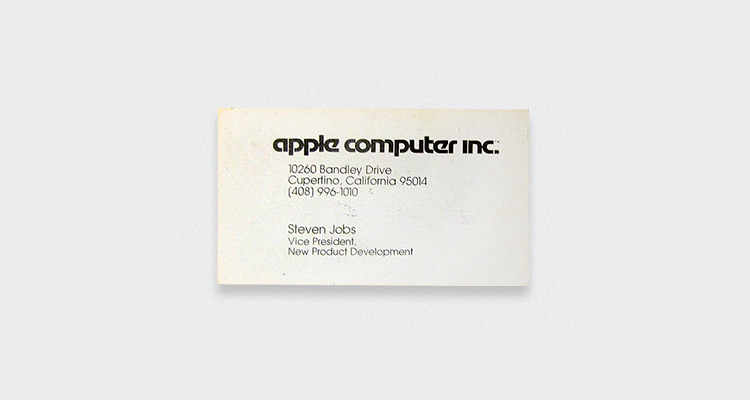 First of all most business card revolutionaries aren’t revolutionary enough. Simply converting the business card to a digital format isn’t going to cut it. The reason why that is is because there is more to it than just exchanging information. That is the basic error most people make. Or at least it is about more than exchanging the information printed on the card! The whole ‘exchanging business cards’ process is a cultural phenomena that contains a few subtle meta layers of information that you can’t just digitize. Sure, a digitally exchanged business card can contain a date and GPS coordinates. That’s cool, but not cool enough. Imagine being in an airport; you sit down somewhere, drop your wallet, the guy next to you picks it up and hands it to you, you look at each other and you realize its Bill Gates. Hot damn! You thank him, he asks you where you are going, you start talking, pitch your company and at a certain point he says “That sounds awesome, give me your card so I can have my people contact your people”. Now you have two options: you can reach into your jacket pocket (0,2 seconds), grab a card (0,05 seconds) and hand it over, with the text on the card facing him (0,25 seconds). This whole process shouldn’t take more than a second, it won’t distract you from the conversation and it won’t require any action from Bill except sticking out his hand, an action which Bill is familiar with. Then the magic happens; Bill looks at the card. He examines the quality of the paper between his thumb and index finger. He glances over the beautifully designed company logo and then reads your title, or the lack of one, and without effort or even being conscious about it he will form an opinion on you and make a mental note which will make him remember your name. Then he takes out his pen and quickly scribbles 2 words at the back of your card. What happens next? Nothing. Bill Gates doesn’t give you his card. That is not his style and that is not how things work when you meet Bill. People introduce themselves to Bill, Bill doesn’t have to introduce himself to people. People give Bill business cards, Bill doesn’t hand out cards. If there will ever be a meeting again between you and Bill the initiative will come from Bill. Well, there really isn’t one. You can reach for your iPhone, Android (seriously, in front of Bill?) 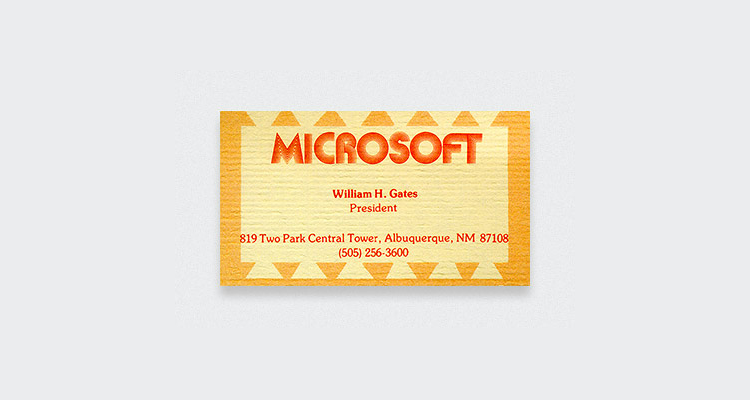 or Windows Phone and launch any of the current Business card replacement apps and ask Bill to do the same. But seriously, are you going to waste precious minutes trying to convince Bill to install an app so you can exchange business cards? No way in hell. Bill doesn’t exchange anything! You’ve got 30 seconds to make a lasting impression and you won’t do it by staring at your phone trying to find the LinkedIn app and then asking Bill to dictate you his email address. This is all so obvious I’m surprised I still have to explain it to people. As long as the digital business card exchange format isn’t a lot richer, unless you can do it without looking at your phone, unless you can do it one way and unless you are pretty sure it is compatible with almost everybody in the world, this isn’t going to work out. Paper business cards are here to stay. 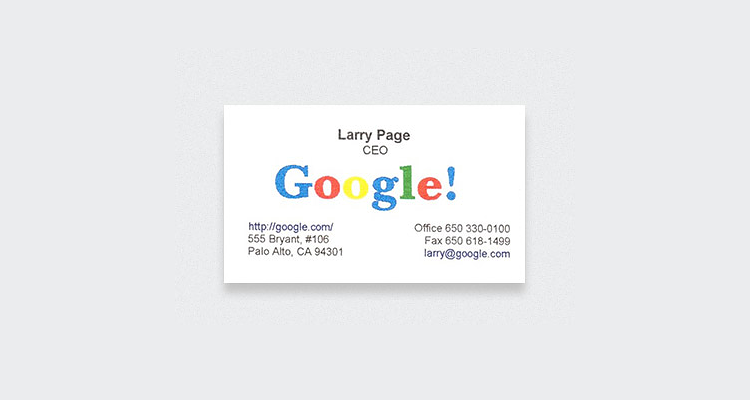 – My personal business card contains just my name and email address, nothing more. If a contact is worth following up on all you basically need is those two pieces of information. In fact, you can also learn the company name and website from looking at the email address so that makes it 4 pieces of information with just 2 information sets. And the less information on the card the bigger the chance that people will take the trouble to follow up. – Keep your card readable and easy to scan. A lot of people use scanners or phone cameras and Apps with character recognition to input data. Using weird fonts and combined horizontal and vertical text placement doesn’t make it easier to read. – Shotcodes are cute but hardly anyone can read them. Use for innovativeness (not a word but you know what I mean) but not for usefulness, yet. I often use Business Card reader to quickly scan business cards as soon as I get them. Sometimes I’ll scan the card while we are talking and then hand it back after I scanned it so they can re-use it. Be careful not to appear unthankful or uninterested and make sure to mention you have all their data copied to your phone now. your location for other people using the app, but I mainly use it as an easy way to share my contact details, if I want to. And that makes all the difference. I will be talking to 20 people at an event and they will likely all give me their card. They don’t ask me if I want one, they just give it to me. Maybe with 1 or 2 of those I will feel like also sharing my data with them. In those cases I will ask for their card or email address and enter it directly into the Cardcloud app. Then I can choose if I email them my personal card or my business card. Then there is CardFlick. It is trying to recreate the experience of seeing a beautifully designed card. It might be too early to tell if the app will turn into something that will replace or enhance your paper card as I found the process of sharing the cards inconvenient and the choice of designs limited. Still, at least they are trying to add some feeling and beauty to the scene and for that I’m thankful. 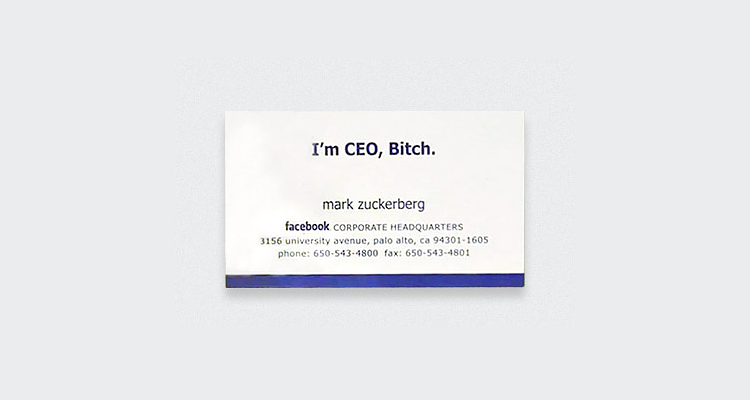 The focus for many ‘business card killers’ is too much on replacing paper business cards with a digital equivalent. The opportunity lies much more with enhancing analog meetings; annotating, adding notes, recording locations and adding other meta layers could be useful. But there really isn’t a need to kill anything, especially as it is performing so well. There is still a future for paper business cards but I do see digital information exchange apps becoming more popular and growing alongside paper.